Novelist Chibundu Onuzo grew up in Lagos. Her chosen painting at the National Gallery appealed to her because of its subject matter - because Thomas is a kindred spirit to her. A novelist and historian still in her 20s, Chibundu Onuzo grew up a Christian in Lagos before moving to boarding school in England as a teenager. 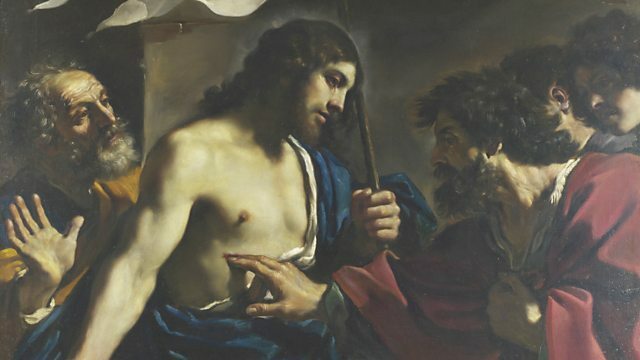 For her Essay, she has chosen the National Gallery’s The Incredulity of St Thomas by the 17th-century Italian painter, Guercino, because Thomas, the disciple who said he would not believe unless he could put his fingers into Christ’s wounds, is a kindred spirit to her. At boarding school in darkest Winchester, when most of her peers fell away from their Christian faith, their critical questions made her doubt her own beliefs too.